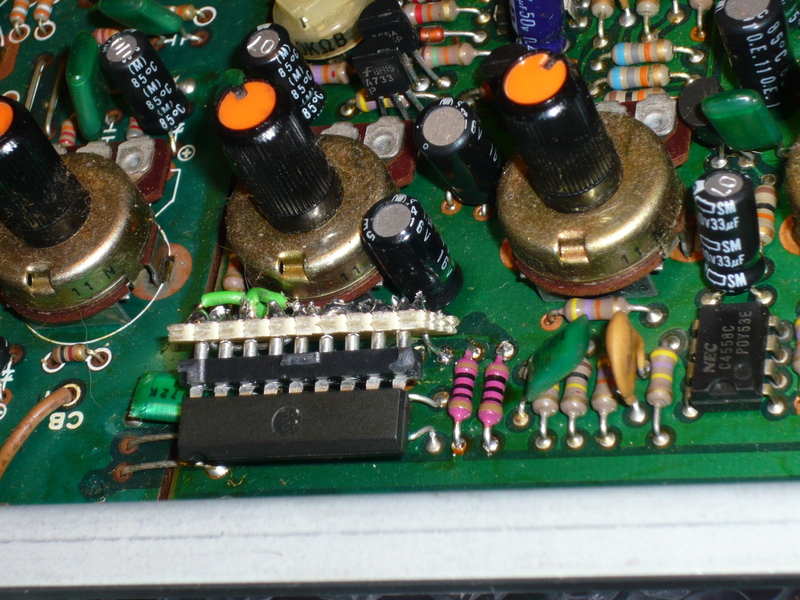 An TR-808 on the bench for a repair. 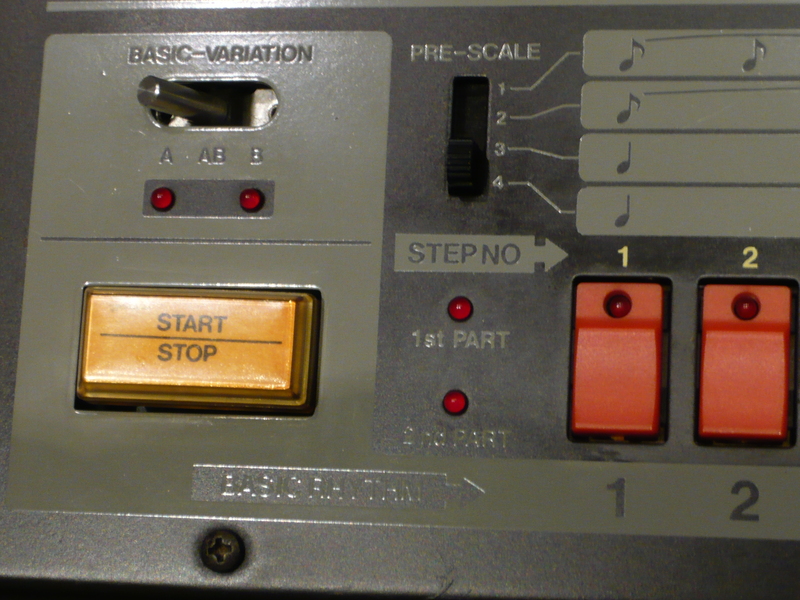 The ‘start/stop’ as well as the ‘tap’ button only worked from time to time as well as the handclap sound, from which one could only hear a faint ‘reverb’ tail as well as some continuous noise on the output. In order to fix the buttons, I had to unsolder both of them, carefully pried them open with a sharp screwdriver taking care not to damage the housing. Then I cleaned the gold contact on the base of the switch with some Caig ProGold and the black rubber grommet under pushbutton with some water on a clean cloth, trying to rub the surface clean in order to remove all possible dirt, thus allowing a good contact again. Soldered them back in – working. 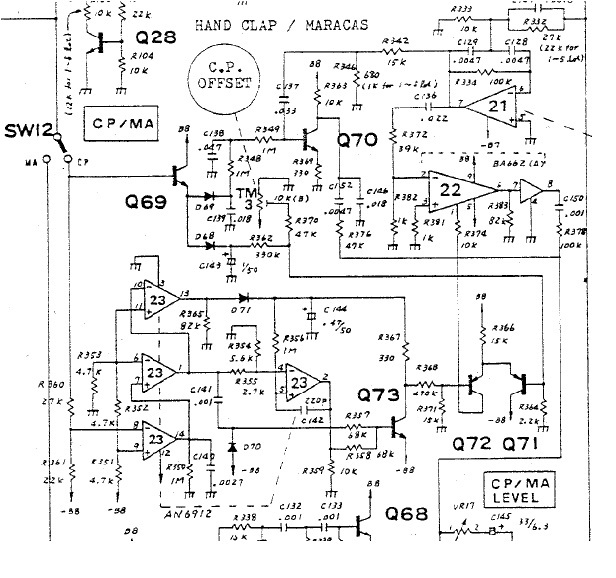 The clap circuit was a bit more complicated, as it uses a BA662 as VCA, a part which is almost impossible to find nowadays since it was made proprietary for Roland . After some measurements in order to check if it was really the OTA which was defective (well, I could have told even without measurements since the chip was steaming hot…) I unsoldered it and started looking for a replacement part. I chose the easier available BA6110 as a suitable replacement part, although it is not pin to pin compatible. I had to create a small adapter board in order to rewire the pins to their corresponding location. 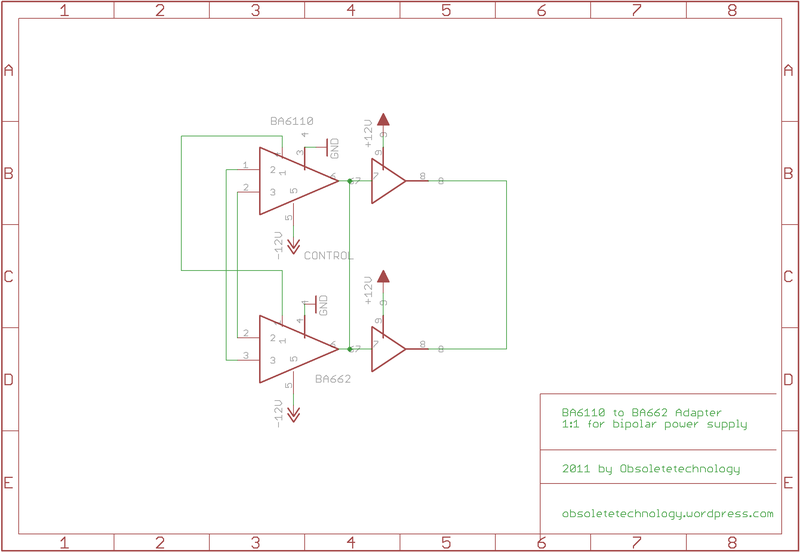 In case you wonder, I did not have to build a current mirror for the control input of the OTA since the TR-808 clap circuit is already current controlled. 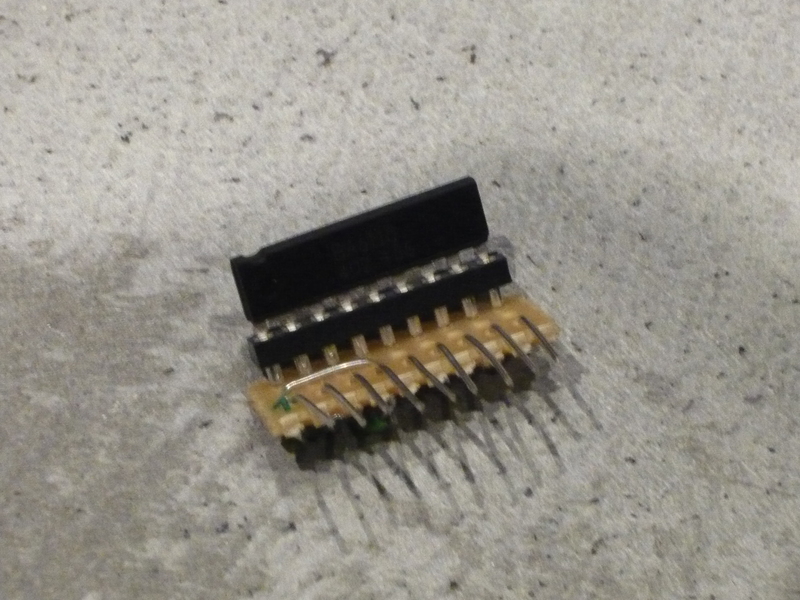 If you plan to use this chip as a replacement for the VCA in a TB-303 you would have to build such a current mirror around the control input in order to not change affect the voltage levels of the original control circuit. 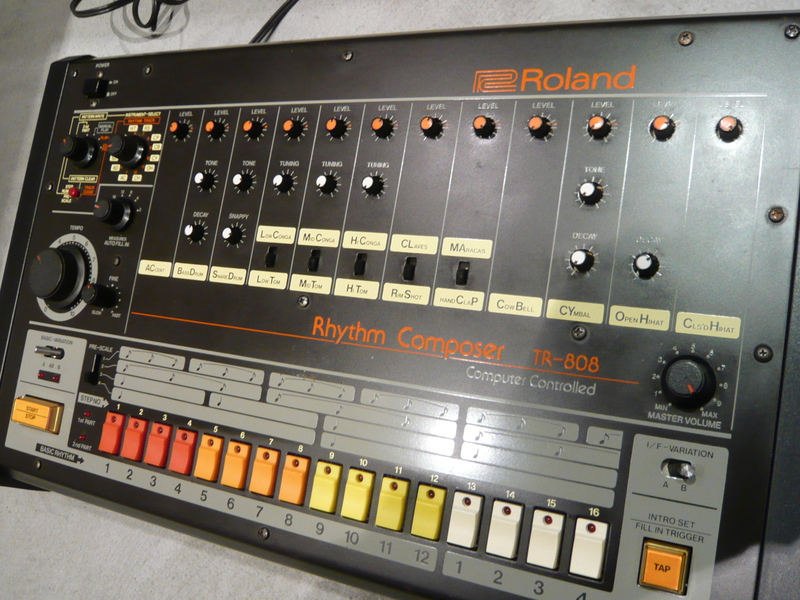 So, I finished with a fully working TR-808 again, nice crisp handclaps as expected!